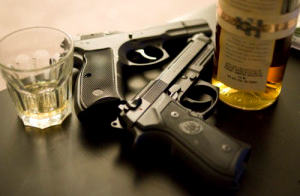 Can I purchase a handgun in Mecklenburg County, North Carolina if I'm convicted of DWI? As is often the case with the law, the answer to this question is “it depends.” Generally, you must have either a North Carolina Concealed Handgun Permit or a North Carolina Handgun Purchase Permit to purchase a handgun. The Concealed Handgun Permit allows you to carry a handgun concealed in certain situations, while the Handgun Purchase Permit simply allows you to purchase a handgun. In North Carolina there are many requirements you must meet in order to obtain one of the handgun permits mentioned above, as well as many reasons to deny you from obtaining one of these permits. This FAQ does not address all these requirements and reasons for disqualification, just those that pertain to DWI convictions. So let’s take a look at the requirements to obtain each type of permit as it concerns DWI. This essentially means that if you have been convicted of one of these three offenses, you must wait three years from the date of your conviction to submit your application for your North Carolina Concealed Handgun Permit. To read more about the other requirements to obtain a North Carolina Concealed Handgun Permit, see N.C.G.S. 14-415.12. Even if you don’t qualify to get your North Carolina Concealed Handgun Permit because of an impaired driving conviction, you may still be able to purchase a handgun by obtaining your North Carolina Handgun Purchase Permit. As it pertains to DWI, the relevant law indicates that such a permit may not be issued to you if you are under an indictment for or have been convicted in any state, or in any court of the United States, of a felony. Since DWI related convictions are typically classified as misdemeanors and not felonies, North Carolina law does not seem to prohibit you from purchasing a handgun by obtaining your North Carolina Handgun Purchase Permit when you are convicted of DWI. To read more about the other requirements to obtain a North Carolina Concealed Handgun Permit, see N.C.G.S. 14-404. Although North Carolina law does not seem to prohibit it, the better inquiry may regard federal law; that is, under federal law does a DWI conviction prohibit you from possessing a handgun? How The Police Can Prove You Were "Driving"